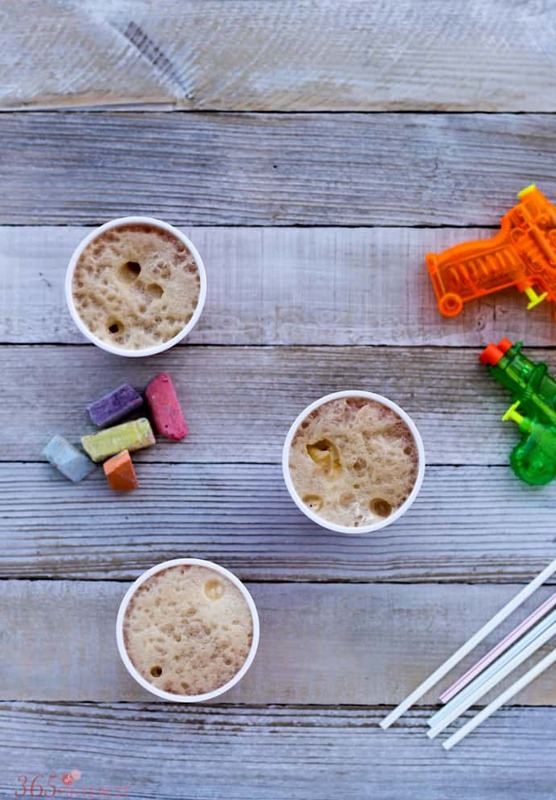 Summertime fun doesn’t have to be expensive or complicated! 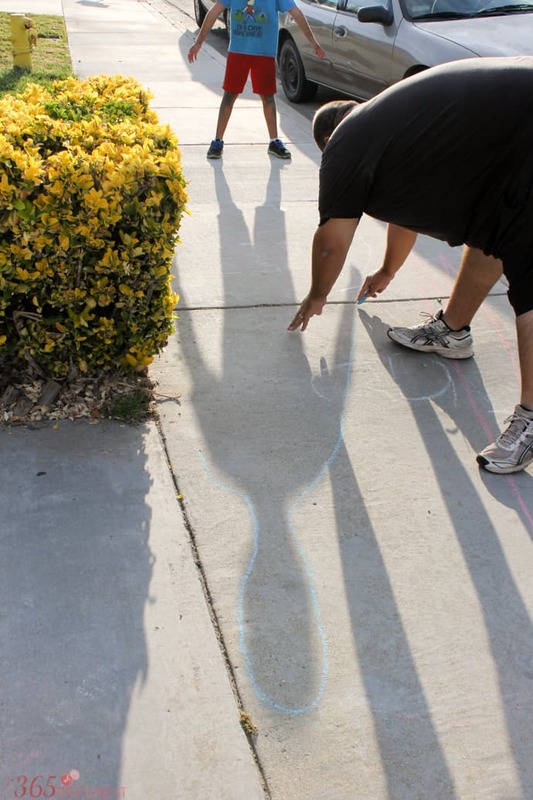 Enjoy the long, warm evenings with these sidewalk chalk activities and a delicious treat! 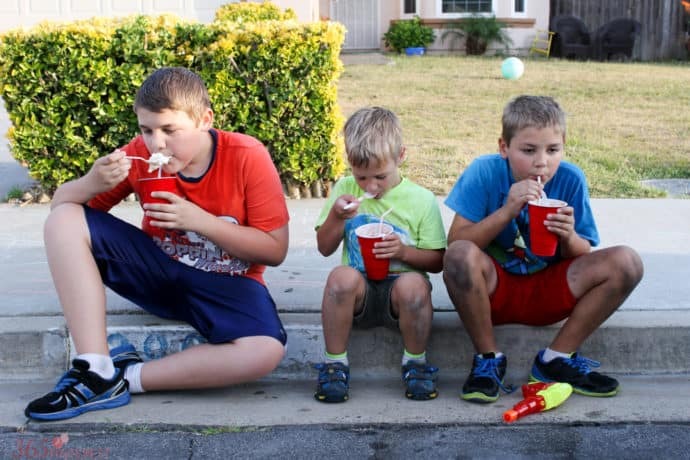 The other day I declared that we were going to have “Family Fun Friday.” There was no particular reason for it, other than to enjoy the long summer evening and squeeze in some quality family time together. Charlie was so excited about the idea and kept asking every morning how many days we had left until Friday. 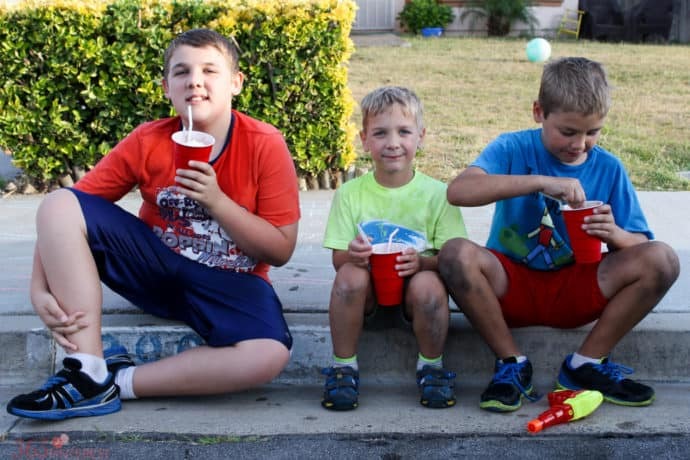 I came up with some fun sidewalk chalk activities to play in the front yard and promised we’d end the night with delicious root beer floats. If you’re like me, when you pick up a piece of sidewalk chalk, you draw a few flowers or write your name and then wonder what else there is to do with the stuff. I let the boys free draw for a while (Henry wanted to copy a picture from the side of the chalk box) and then we started on a few games. 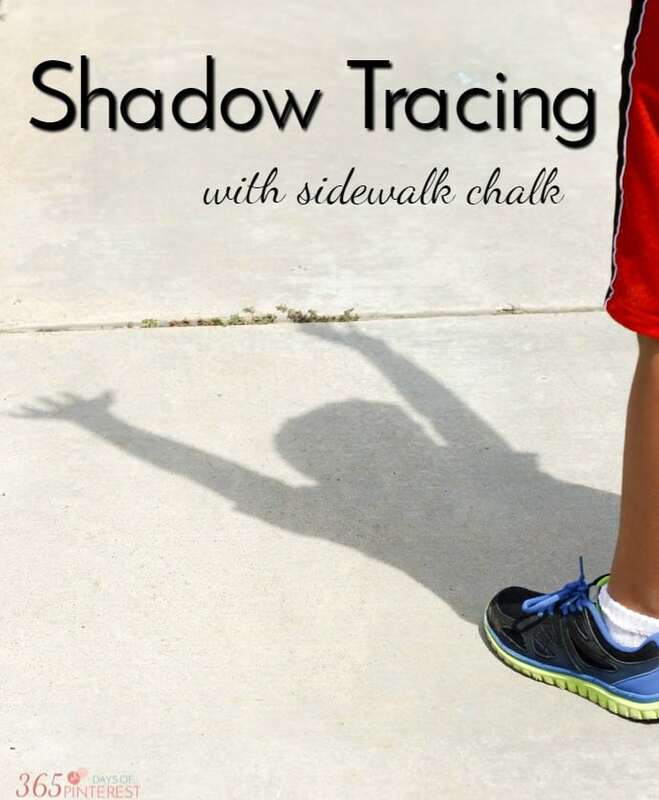 We tried tracing each other’s shadows and made funny shapes with our arms and legs. My personal favorite was the chalk target sponge toss. 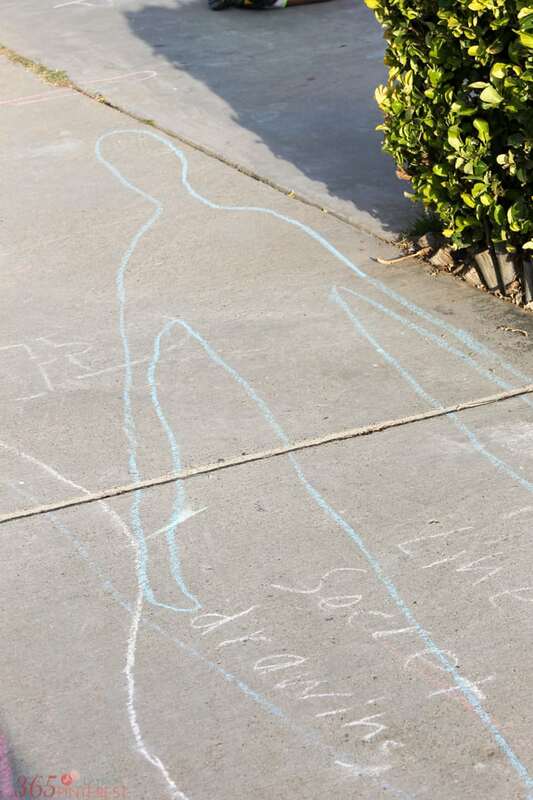 Earlier in the day, Henry drew a large target across the top half of our driveway. We had a 100 point bullseye, and then rings worth 75, 50, 25 and 10 points. 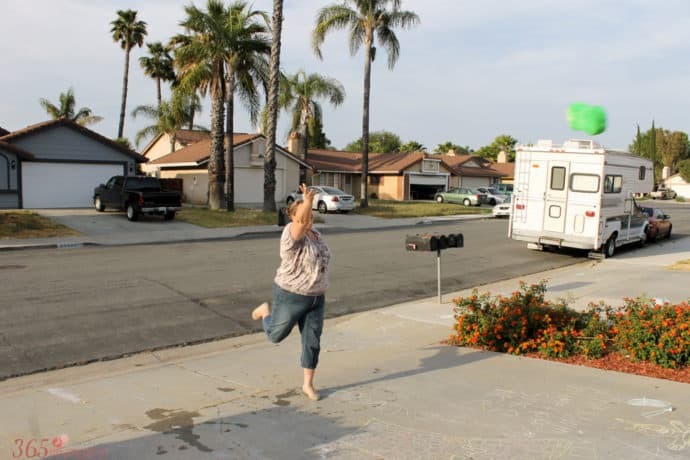 Then we took turns standing at the edge of the driveway and tossing a soaking wet sponge onto the target. Each person got three throws and then we added up the score to find the winner! 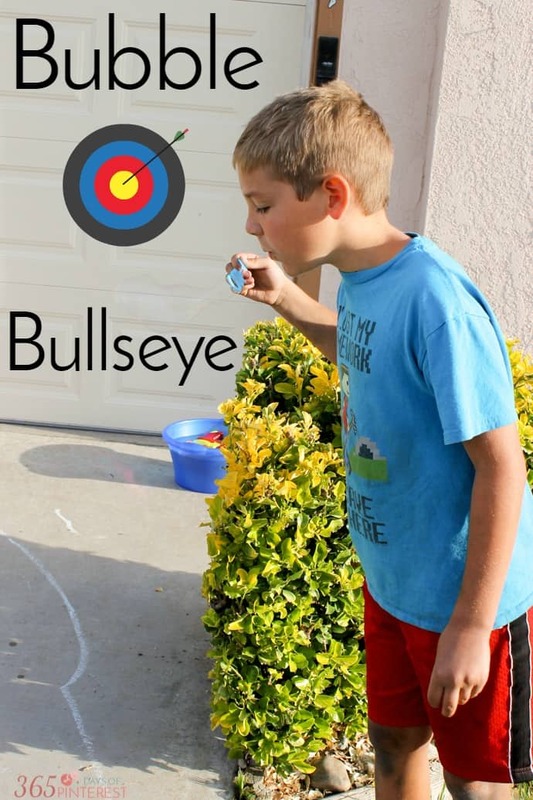 This is actually the first activity we did, because we used the same target that we used for the sponge toss. 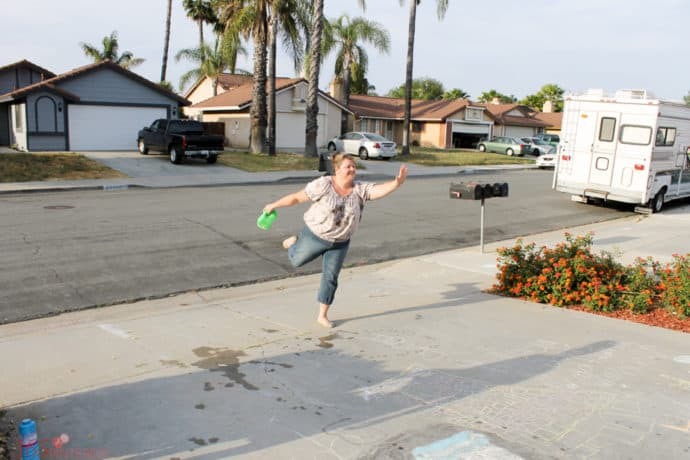 (After several rounds of sponge toss, you start to lose your target lines.) We stood just to the side of the target and blew as many bubbles as we could get from one “dip” in the soap. Then we watched closely to see if any of the bubbles landed in the target. We added up the total from any bubbles that made it down to the ground. This was a bit of a struggle because it was so windy (there was a storm blowing in and we actually had rain the next morning!) but it was really fun. It was funny to see us all straining to watch a tiny bubble and encouraging it to drop down and POP on the 100 point ring! 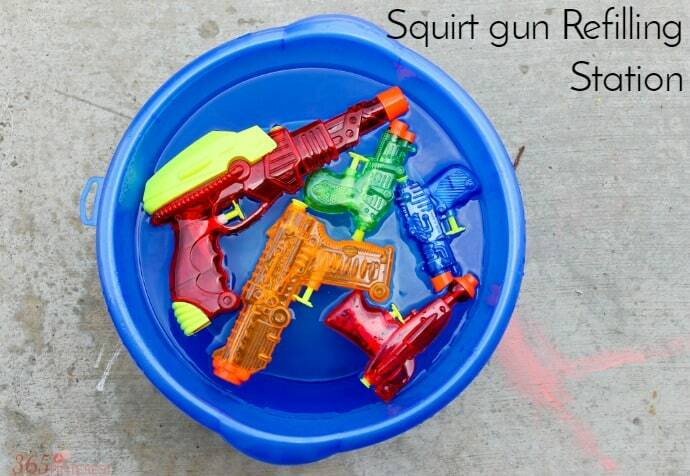 Originally, I had planned play squirt gun games as well. I was going to set up a tower of plastic cups and let the boys take turns shooting them down with the water guns. But the windy conditions prevented that, so I told the boys they could just shoot the squirt guns for fun. 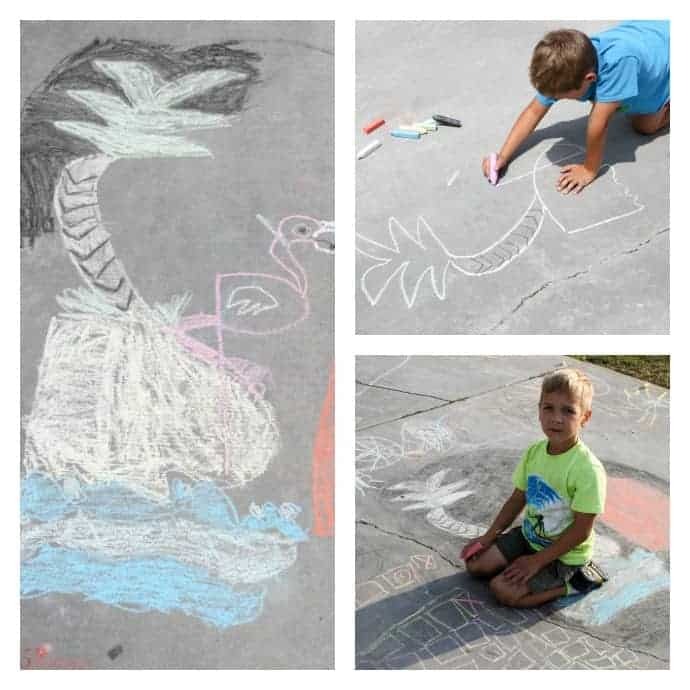 I was thinking maybe they would use them to erase the chalk art all over the driveway. A water war broke out instead. Boys. While they were outside soaking each other and getting cold, I stepped inside to put together our A&W Root Beer floats. I spent less than $20 at Walmart on the entire evening, and that’s including the new water guns! I love when we can spend time together as a family and make memories without spending a fortune! Place a large scoop or two of ice cream in the bottom of a cup. Slowly pour root beer over the ice cream (it will be very foamy!) Top with whipped cream if you’d like and then serve with a spoon and a straw! What kind of things do you like to do with your family on the long summer nights? August 6th is National Root Beer Float Day! 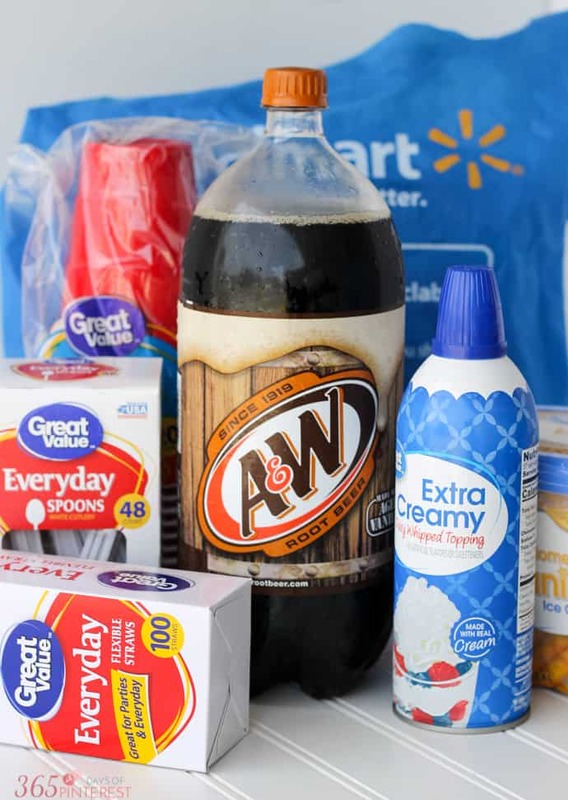 It would be a great time to enjoy your very own Family Fun Day and root beer floats!! This looks like a ton of fun. 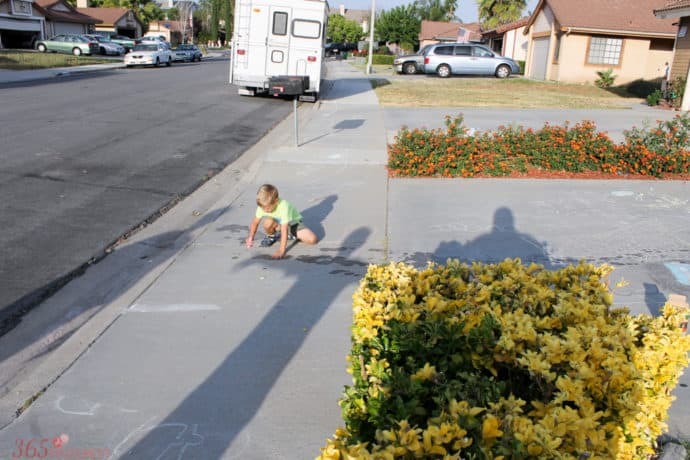 Makes me want to go buy sidewalk chalk. Now I’m craving a root beer float! That is some impressive form, lol This really reminded me to take the time to go out and play with them too. A root beer float sounds great on this hot day in South Carolina. 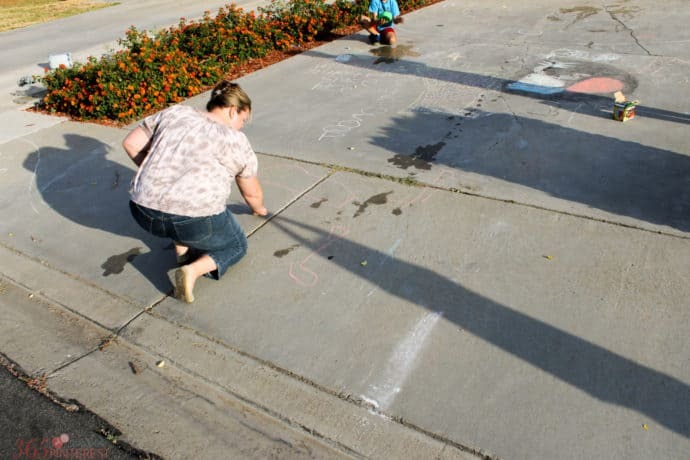 I love these ideas, my kids loved sidewalk chalk. #2 looks so fun! And now I need a root beer float. Mmm. What a fun summer day…this makes me wish my kids were little again! Love the root beer floats…that’s one thing you’re never too old to enjoy! Great ideas! 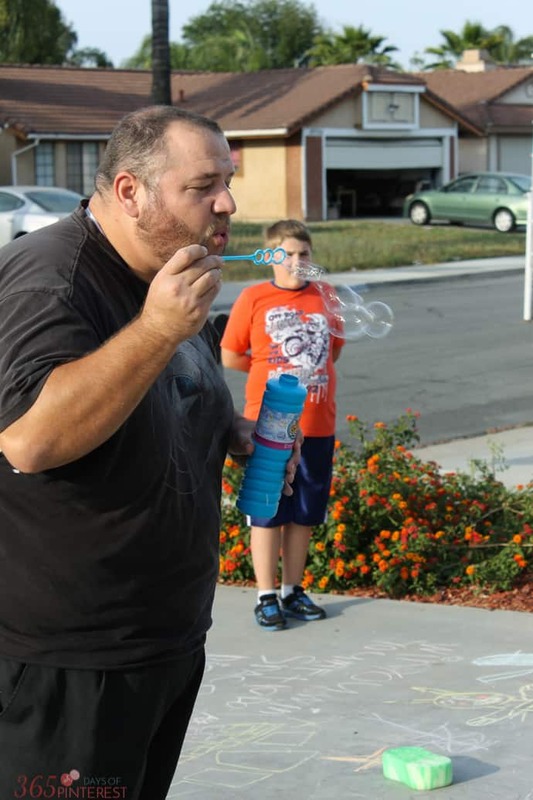 We love side walk chalk and bubbles! 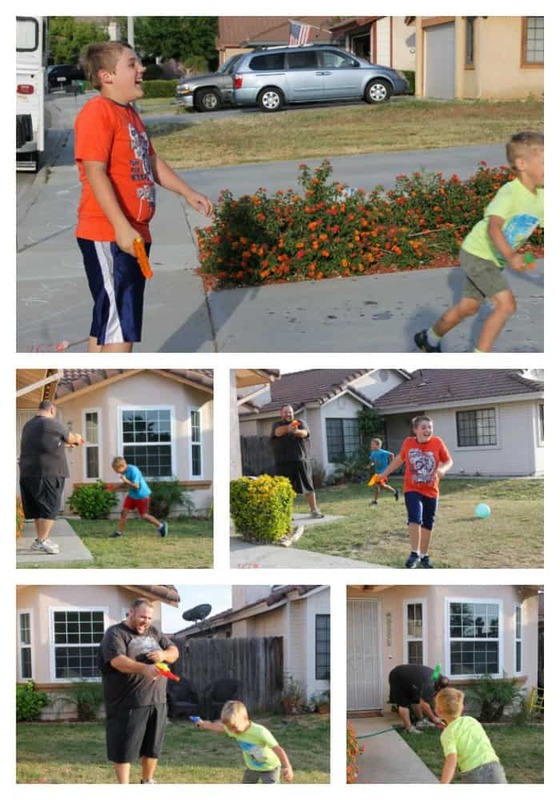 SO much fun and a great way to spend time outside with the family! 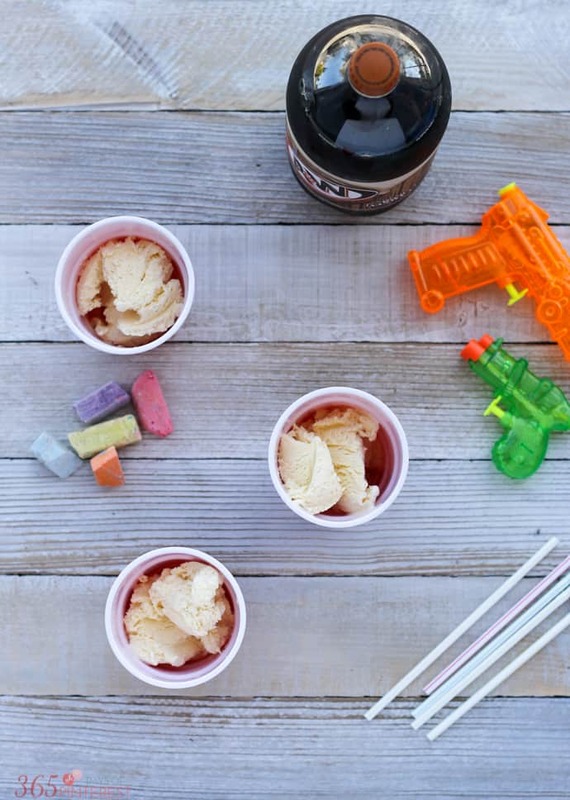 I love summertime and these are such fun ideas! Looks like y’all are having fun! My son would love those Root Beer floats! 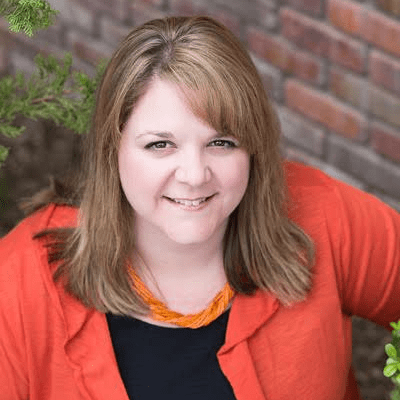 You are such a fun Mom! I love seeing your family all happy and enjoying time together. These look like something I could actually pull together and pull off. Thanks for the inspiration and idea!